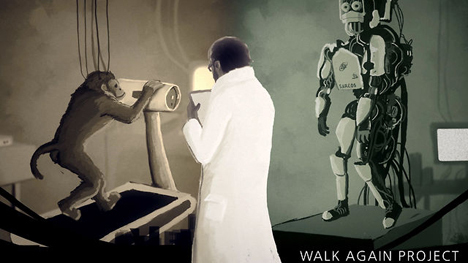 The Walk Again Project is an multi-national effort that does neurological research to help paralysis victims walk again. In the past, the project has pioneered mind-control research into the field of neuroprosthesis. 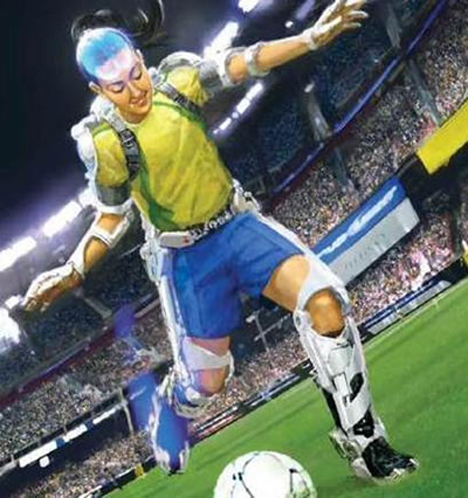 It hopes to unveil some of its most cutting-edge technology in Brazil at the 2014 FIFA Soccer World Cup kickoff ceremony. Leading the project is Duke University scientist Miguel Nicolesis. He ushered in a new kind of prosthetic technology when he helped create the world’s first mind-controlled arm. It used a chip with ultra-thin tendrils called microwires that picked up electrical impulses given by the brain. This technology allowed researchers to determine neurological algorithms that would indicate patterns related to movement. Years later, it’s being used to create a way that may allow a teenage candidate to perform the ceremonial kickoff at the 2012 World Cup. 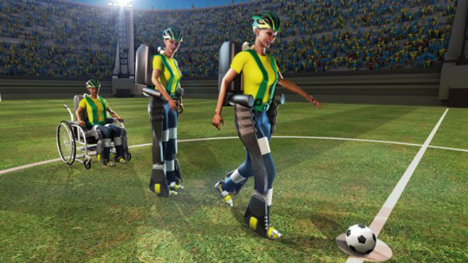 The teen would wear an exoskeleton that sends and receives neurological information. It contains braces steadied by gyroscopes and German-made sensors that relay feeling to the wearer. It would be powered by a battery worn by the candidate in a backpack. The ideas from ‘Iron Man’ no longer seem so far-fetched. See more in Robotics or under Technology. January, 2014.